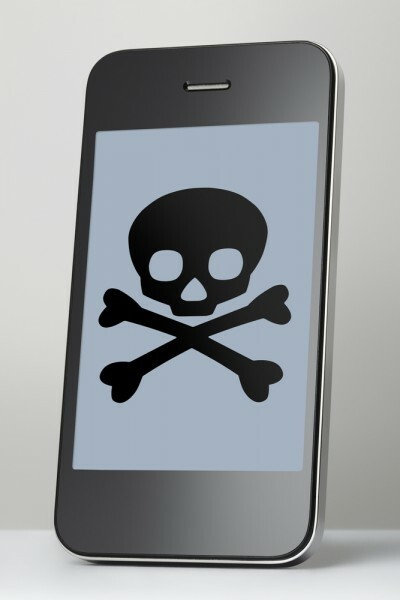 A new study of over 850 organizations around the world shows that all of them have experienced a mobile malware attack. The research by cyber security company Check Point shows an average of 54 mobile malware attacks per business with Android and iOS platforms both proving vulnerable. Other findings include that 89 percent of businesses have experienced a man-in-the-middle attack over Wi-Fi. Also 75 percent of respondents averaged 35 rooted or jailbroken devices on their networks. Looked at by industry financial services (29 percent) and government (26 percent) experience the most mobile malware attacks. Both offer attractive targets for hackers with large repositories of financial and personal information. Technology companies too are heavily targeted, accounting for 18 percent of attacks. Interestingly the finance industry accounts for 40 percent of iOS attacks as many organizations in this sector require their staff to use iOS devices for better security. Finance companies also see the most dangerous kinds of malware, with 44 percent of all mobile remote access tools (mRATs) detected on devices used in financial services firms. These tools allow an attacker to access the infected device remotely and gather information from all the sensors available on the device, such as its camera and microphone, plus message and call directories. In response to these research findings, Check Point is announcing improved capabilities for SandBlast Mobile, its threat defense solution to prevent advanced mobile cyber-attacks. Enhancements include artificial intelligence detection to immediately block zero-day malware, blocking of targeted SMiShing attacks on iOS and Android devices, plus new app that allows end users to monitor and control their device security. "The financial value and frequency of attacks on mobile devices exceeded that for PCs in 2017, which help explain the findings of the report," says Michael Shaulov, head of products mobile and cloud security at Check Point Software. "Mobile devices are essentially the new 'backdoor' for cyber-criminals, and we are pleased to provide this improved SandBlast Mobile solution to proactively protect enterprises and individual consumers."